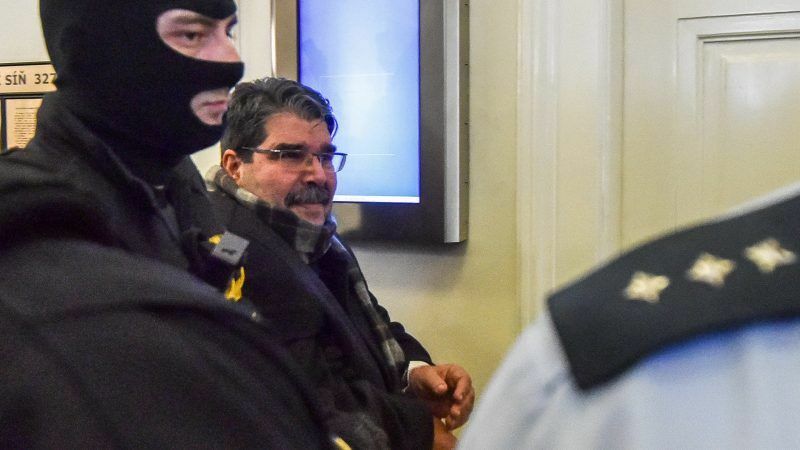 A Czech court yesterday (27 February) released prominent Syrian Kurdish leader Saleh Muslim, wanted by Turkey on terror charges, prompting outrage in Ankara which said the move showed “support for terrorism”. Turkey on Monday said it had formally asked for the extradition of one of the leading figureheads of the Syrian Kurds, who was detained by Czech police at the weekend at Ankara’s request. “The judge decided to release Saleh Muslim. At the same time, Muslim promised the court that he would not leave the territory of the European Union and would report to the court at its request,” court spokeswoman Marketa Puci told AFP. Muslim’s lawyer Miroslav Krutina told reporters that his client vowed to participate in all extradition proceedings requested by Turkey. Muslim is wanted over a 2016 bombing in Ankara and faces 30 life sentences if convicted. He denies the charges. Until now, he had been able to move around the EU without a problem. 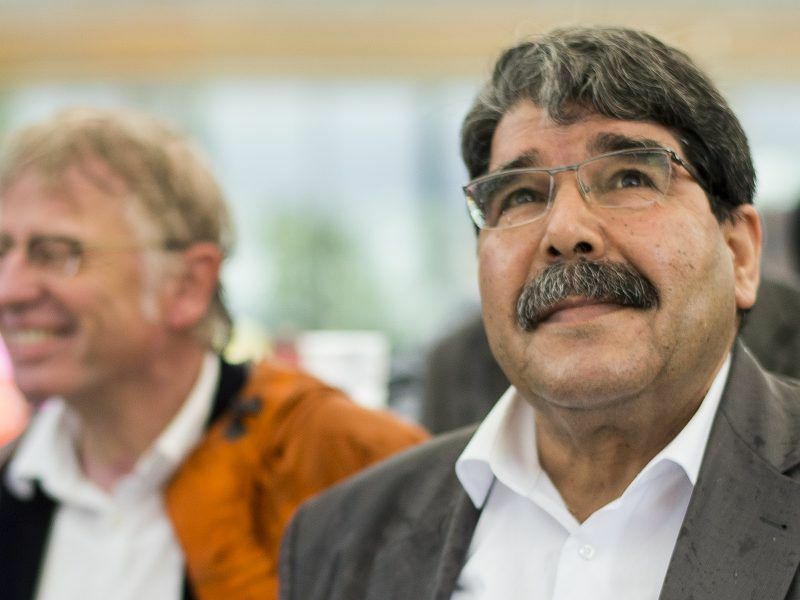 The former leader of the Syrian Kurdish Democratic Union Party (PYD) is still a figurehead for Kurds in Syria. The decision to release him was hailed by several dozen Kurds who had come to show their solidarity in front of the municipal court building in central Prague. Turkey lashed out at Czech judicial authorities for their decision, with Deputy Prime Minister Bekir Bozdağ telling reporters in Ankara that it showed “support for terrorism” and would have a “negative impact” on relations between Prague and Ankara. Turkish Foreign Minister Mevlüt Çavuşoğlu said his country would continue to pursue Muslim, even if he leaves the Czech Republic. “The decision of the (Czech) court does not mean that everything is over; we will not let go of this case,” Çavuşoğlu insisted, calling the release of the Kurdish leader “scandalous”. Earlier Turkey had said Muslim’s case was a “day of reckoning” for its NATO ally, pressing Prague to extradite him to face a terror trial. The arrest came as Turkey continues its more than month-long operation inside Syria aimed at dislodging the People’s Protection Units (YPG) — the military wing of the PYD — from the Afrin region of the country’s north. Ankara sees the YPG and PYD as the Syrian branch of the outlawed Kurdistan Workers’ Party (PKK), which for over three decades has waged an insurgency against the Turkish state and is considered a terror group by Turkey, the United States and the European Union. There had been questions over why the Czech authorities at the weekend acted on the Turkish warrant against Muslim. Press reports in Turkey and the Czech Republic have speculated over the possibility of exchanging Muslim for two Czech nationals jailed in Turkey on charges of fighting for the YPG in Syria. Miroslav Farkas and Marketa Vselichova were sentenced in 2017 to six years and three months behind bars and are currently held in the eastern Turkish region of Van. But Turkish Justice Minister Abdulhamit Gül denied any exchange was in the offing, saying “there is no question of a swap request”.